China’s state-controlled news broadcasters have long been considered somewhat robotic in their daily recitation of pro-government propaganda and a pair of new presenters will do little to dispel that view. Calling it a “world first,” Xinhua news agency this week debuted a pair of virtual news anchors amid a state-directed embrace of advanced technologies such as artificial intelligence (AI). 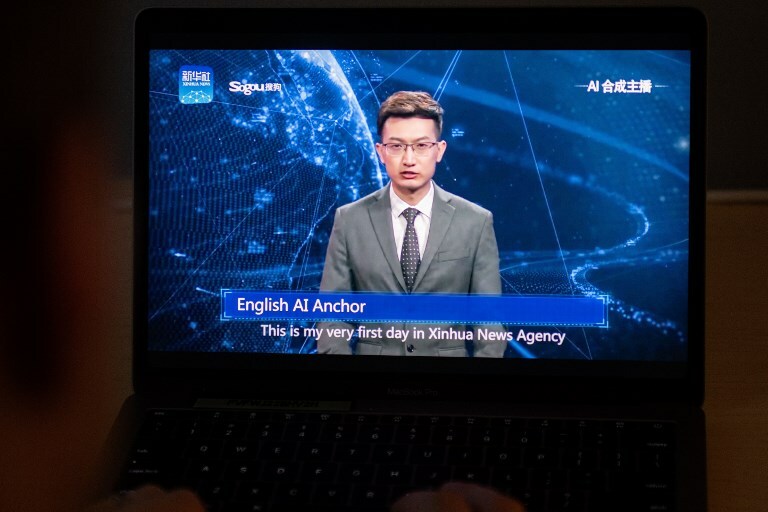 This photo illustration shows a man watching an artificial intelligence (AI) news anchor from a state-controlled news broadcaster, on his computer in Beijing. Photo: Nicolas Asfouri/AFP. Xinhua said the “AI Synthetic Anchors,” one for Chinese and one for English news, were developed along with Sogou Inc, a Beijing-based creator of search engines and voice-recognition technology. China last year unveiled plans to become a world leader in AI and other high-tech fields, though it has since toned down the rhetoric amid a trade war with the United States, which has included accusations by President Donald Trump that China steals US technologies. “The AI Synthetic Anchor has officially become part of the Xinhua reporting team. 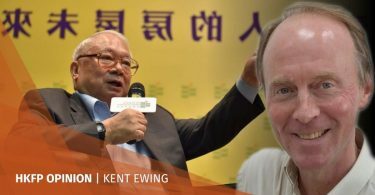 He will work together with other anchors to bring you authoritative, timely and accurate news and information in Chinese and English,” Xinhua said. The avatars debuted this week during the World Internet Conference, an annual convention in the eastern Chinese city of Wuzhen organised by China’s government. A borrowed place on borrowed time: Can Hong Kong ever be home?